Shopify is an incredible tool for online merchants. It truly is an all-in-one ecommerce platform that allows businesses to set up, host, and manage their online store all through one seamless interface. It’s high functioning, high speed, and has incredible customization options. There’s a reason I recommend it to any clients coming to me wanting to set up their own ecommerce shop. But what if Shopify isn’t right for you? Not everyone has the same needs, after all, or even the same wants when it comes to creating their online store. And sometimes, for whatever reason, Shopify isn’t quite right for some businesses. 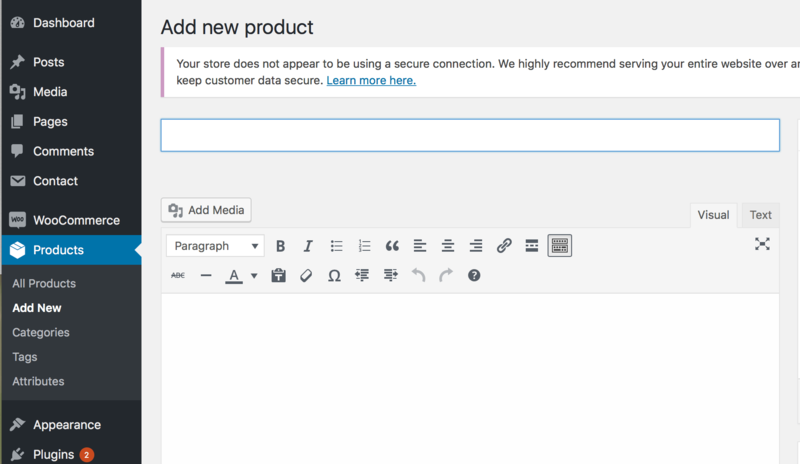 In this post, we’re going to look at 5 Shopify alternatives that work similarly, including several other one-stop-shop tools that have hosting and store management tools included. Why Would I Want Shopify Alternatives? If you’re reading a post about “Shopify alternatives,” this implies that Shopify is pretty much the go-to tool of choice. In many cases, that’s true. So why exactly do some businesses look for other tools instead? There are a lot of reasons. We have to remember that each business and business owner is different in what they want. Some people want a cheaper plan or one that comes with more features in the base package. Others may want to customize the layout of the themes they choose but struggle to do this with Shopify and prefer a drag-and-drop system. And then there are some people who have a relatively simple store concept and who are looking for a tool that’s as simple as possible because they don’t need much else. There is, after all, no true one-size-fits-all tool for any given need. I swear by my Hondas and never want to buy anything else right alongside my boyfriend who refuses to buy a car for himself that’s not a Subaru. It’s also why there’s plenty of different social scheduling platforms or CRM systems available when they all work well—sometimes people have different preferences, tastes, and needs. These 5 tools that we’re about to look at take all of those differences into consideration. All but one is hosted by the platform (keeping everything in house for you), and they all have great store management features. They all offer mobile optimization and high performance, so each one would be a great choice if you decide it’s right for you. 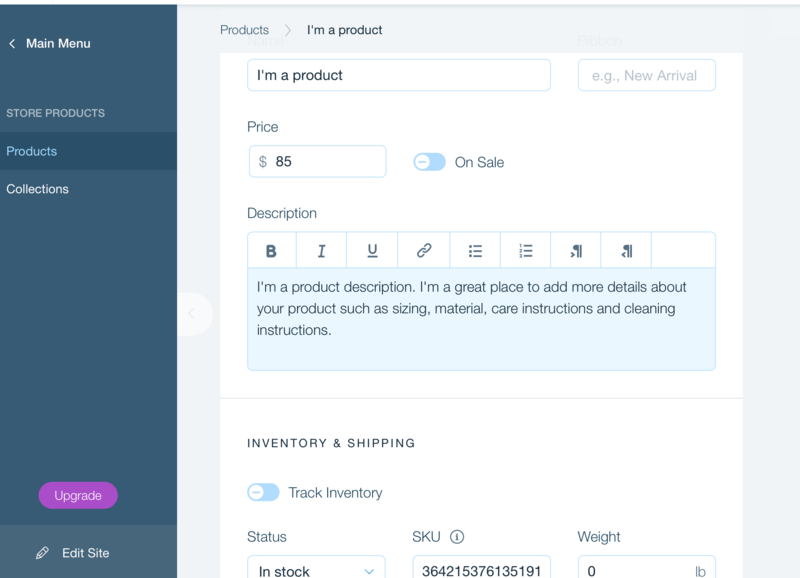 BigCommerce is most similar to Shopify, offering similar a similar interface, features and even pricing. You can purchase a domain and host your store through their site and they have exceptional uptime. 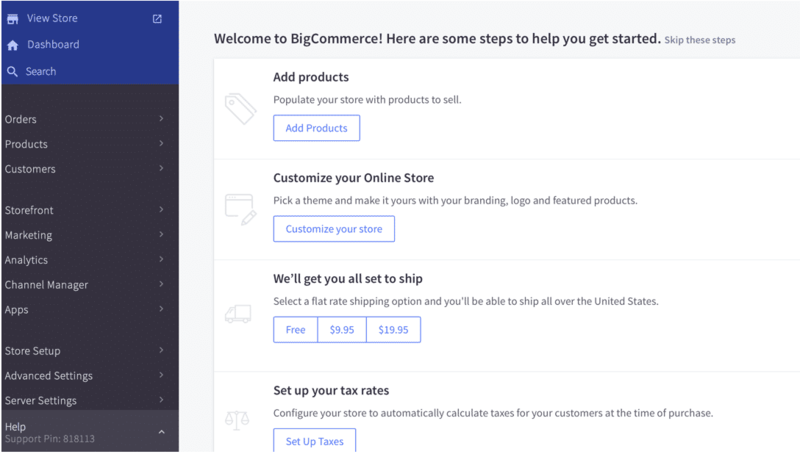 BigCommerce has more features included in their base plan upfront than Shopify does, which can save you money you’d have potentially spent on the add-ons there. BigCommerce doesn’t charge transaction fees where Shopify does. Their interface is intuitive and both paid and free themes are available. It’s affordable, with plans starting at $29 per month. The customer service is fantastic, with 24/7 support ready to help you. They take security seriously and your site will be protected well. It has great shipping features built-in (which Shopify doesn’t) let allows you to set different shipping rates and even potentially get discounts on shipping labels. While it does have add-ons and themes available, Shopify has larger numbers of both available (both for free and paid options). There are only a handful of free themes and the paid ones can run $150+ easily. You need to check the fine print if you have a store with a lot of sales. If you sell more than 2,000 orders, you could get charged $80 a month in a flat fee for every additional 1,000 orders you process. The theme editor works, but can be difficult for first timers to figure out. 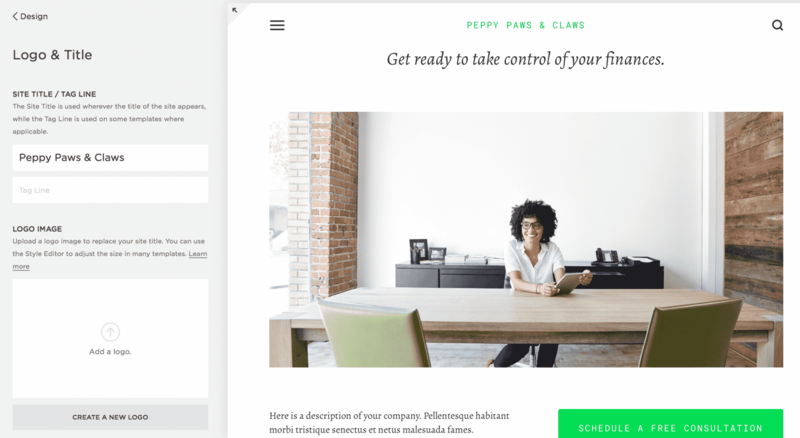 Squarespace is a hosted site builder that can work well for ecommerce stores. It uses what I call a modular version of site building. Different text boxes, headlines, CTAs, and images can all be dragged and dropped with the site editor to easily reposition your entire site. There is zero design knowledge needed. You aren’t restricted with this plan as you get unlimited storage space and pages with the business plan. Their business plan covers a lot (including a $100 AdWords credit), and it only costs $18 per month. The site designer is exceptionally easy to use and will work well if you have something simple in mind but don’t want to pay a lot to create it. The sites go for a clean, minimalist approach. The site builder is easy to use, but the customization potential is limited. Squarespace has fewer integrations and add-ons than other tools on this list. Many ecommerce businesses will have enough tools to get them through, but do your research first. There is a 3% transaction fee, which is higher than some other alternatives on this list. Wix will help you set your site up quickly and it even has some great features to automate the site design process. Their top plan (which you really need if you want to have an online store through them) costs $25 per month. The Wix ADI feature is a cool one, which generates a “custom” site based on your answer to several questions and the industry your store belongs to. This site can be changed and customized further once created. The site is visual-heavy (including on the home page) so if that works for your business, go for it. The support for Wix is okay but doesn’t hold a candle to other options like Shopify and BigCommerce, which have 24/7 live support. You can send an email or call (there’s no live chat), but only during business hours. Their top plan does give you VIP support, but other site builders do this better. The interface feels a little clunkier to me than other options, but it still works well. Weebly also uses drag-and-drop technology for site design and it comes with full ecommerce functionality. The drag-and-drop technology makes it really easy to set your site up quickly with no experience required. Their product page interface is fantastic, with the option to add multiple images, product weight and SEO data to help users find it through Google. You get a free $100 AdWords credit when you signup. There is no transaction fee for business plans and higher. The business plan costs $25 per month, which is more affordable than other options. While site set up is easy, actual customization is exceptionally difficult. You can “alter” the site design, but choosing the right theme upfront is important. This is really the only big con, but it’s significant, so keep it in mind. If you’re looking for an ecommerce solution but you want something a little different from the hosted solutions we have here, the WooCommerce WordPress plugin might be a good option for you. This is an ecommerce platform that you can install onto an existing site that is using WordPress for its CMS system. This option will likely cost less unless you need a lot of additional plugins, which can save you money on subscription fees. There’s more customization options if you have the ability to customize. It’s easier to migrate sites like these to other hosting plans later if you ever choose to, which isn’t something most of the options have available. They have a ton of payment gateway options, including Amazon Pay, stripe, and PayPal express. This option is more work. You need to get your own domain name, your own hosting,and get your site built and set up on your own. You’ll need to install both WordPress and WooCommerce onto your site, and both of these take knowledge and skill. You may need to hire a designer or developer to help you with set site up or maintenance work, so those costs can add up. I prefer the product uploading interface on the other ecommerce solutions, which is a little more intuitive and easy to use. 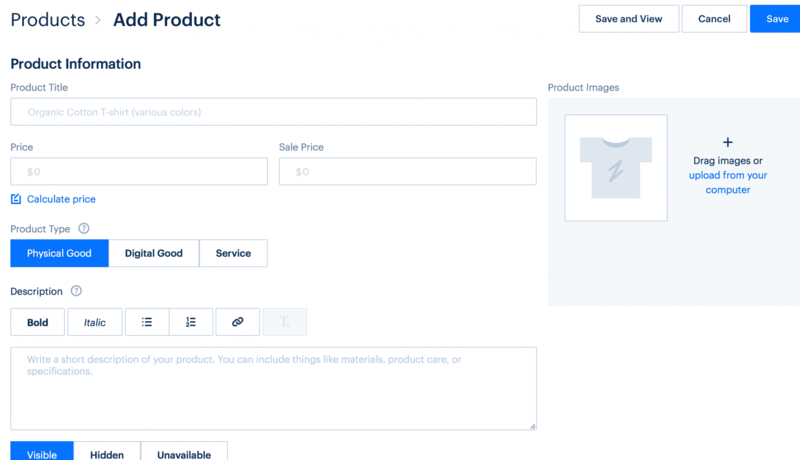 The product pages that come with WooCommerce out the gate look like WordPress blog pages, instead of having designated fields for different types of information. This makes the process take a little more time. At the end of the day, there is no one right answer for every single business to the question of which ecommerce platform is right for them. 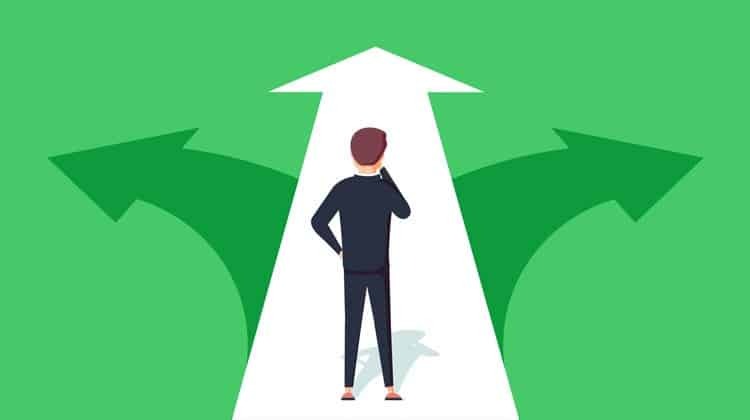 Factors like cost, self customization potential, and desired features all come into play when you’re making these choices. Personally, I find Shopify to be affordable and prefer it to all the alternatives for almost any business, but the fact that all of these alternatives have been so successful in business for so long indicates that it’s working for a large number of merchants. The good news is that all of these tools do offer free trials (including Shopify! ), so if you’re on the fence about which to choose, go ahead and create an account with the ones you’re leaning towards and make your decision after playing around with each and testing the interfaces for yourself. What do you think? Would you consider using a Shopify alternative? Which would you be most likely to test? Share your thoughts and questions in the comments below! Personally, I use Magento because it seems to cater to my growing business for both B2B and B2C. Yes, I have a developer, but my website is the bread and butter of my business so I believe it’s justified.